I’ve been wrapping bars for over 25 years now and I have some real preferences. Back in the day I only used that Cinelli Cork Tape. It had a good feel but it could be a little fragile – and it always seemed that the rolls were about 6″ too short, and I’d have to unwind and pull it a bit tighter. Lately I’ve been using Fizik so when this roll arrived I was curious but also skeptical about the cost. 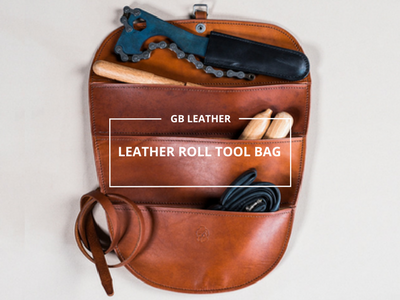 This tape from GB Leather is just one of a whole group of exquisitely-made leather items made by Bartosz Grabowicz in Poland. You’ll need to take a look at his website to fully appreciate his craft. Many decades ago I started a leather goods company making belts and purses (yup, way back in my hippie days) that we sold at outdoor rock concerts. We never made stuff like this. Bartosc has definitely learned the craft. I can only imagine what some of his other items are, this tape is gorgeous and superbly crafted with tapered edges, double stick tape, and guess what? It’s plenty long. I’ve had this tape way too long, and it’s taken me way too long to come up with just the right bike to wind it on. The Honey-Brown color just wouldn’t work on some of my bikes and I wasn’t about to put it on something recklessly. So eventually I’ve been moving along on “back-dating” my 1992 Nobilette road bike. 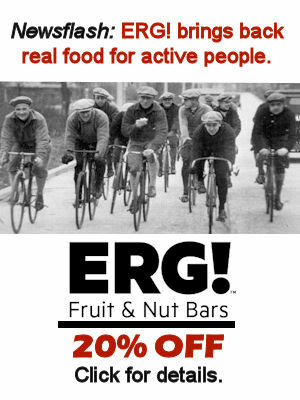 It’s not quite done – black spokes were non-existent back then, but at least these bars are period. Enough about how I got here, what about the tape. Pictures speak a thousand words and so do these. Bartosz’ tape comes fully prepped for starting at the end of the drops – the tape is cut and primed with 3M 2x tape to accommodate the cork bar ends that come with the tape. Super easy to get started and no cutting. Wind it straight and keep the exposure equal, it’s adequately stretchy and the tape not too sticky so you can adjust it as you go. I cut a couple short pieces from the tail end to cover the back of the brake levels. If you’ve never taped bars before – or not done a really nice job …. well find someone to watch and help. This stuff is just way too nice to screw up. I finished up by cutting the excess on a steep angle to come up tight to the sleeve on these Cinelli 65-44 bars, and finished off with the black tape. Bartosz even includes finishing tape neatly would around a short piece of dowel. I think you’ll agree it looks terrific, and i assure you that it feels even better. 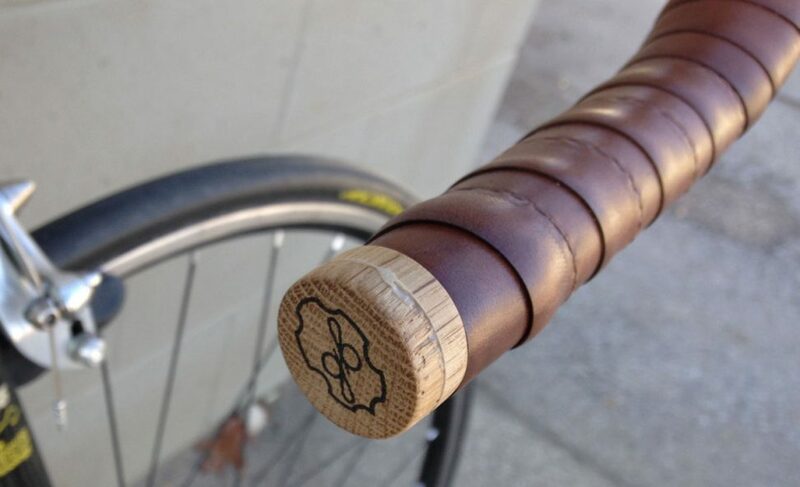 GB-Leather bar tape comes in black, brown, honey brown, and natural – sorry no pink or fluorescent – this is real leather. I don’t know, maybe Bartosz can match up some special color for you, he’s got the skill. At 55 Euros this tape is not for my beater and I wouldn’t leave itsetting out in the hot sun or Portland’s rainy season, but for your nice bikes, well you be the judge, this tape is nice.